The Castle01924 256981work Restaurant - PubWe'll be serving up good, honest, home-cooked pub food prepared on the premises from the best ingredients available (including fresh fish delivered daily), for you to relish in comfort and style. On the bar you'll find real ales from around the UK as well as a few we've discovered on our doorstep. 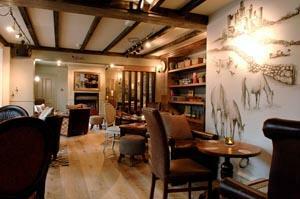 We also have a highly quaffable yet affordable wine list, and a decent shelf of spirits and other fine tipples. So whether relaxing alfresco or snuggling up by the fire, you can always enjoy a glass of what you fancy. At The Castle we specialise in seasonal, unpretentious pub-foodthat makes the most of fresh, quality ingredients. We like to think it's some of the tastiest you'll find around Sandal, Walton and Crigglestone. Simply pop in when you're hungry or, if you're planning something special, you might like to book a table. Our latest menu is simmering with warm, intense flavours that'll blow your socks off. We've got everything from British classics with a modern twist to fresh fish (which is delivered daily) and tasty tapas-style sharers. We'll be serving up good, honest, home-cooked pub food prepared on the premises from the best ingredients available (including fresh fish delivered daily), for you to relish in comfort and style. Plus we've picked some corkingwines, cask ales and continental lagers to wash it all down with. The Castle is on the A61 Barnsley Road in Sandal.